It hadn’t really occurred to me that much just how long it has been since the Tennessee Titans had one of those until I made my weekly radio appearance on SportsNight with George Plaster (WSM-AM 650 on Sundays at 5 p.m.). 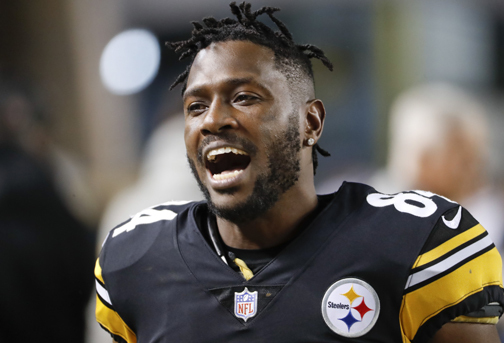 That’s when we discussed the topic of whether the Titans should put themselves in play for disgruntled Pittsburgh Steelers receiver Antonio Brown. Brown has fallen out of favor with management in Pittsburgh and appears destined for a different uniform in 2019. And though Brown will be 31 when the time next season begins, the Titans – if they truly feel they were one good off-season away from being a Super Bowl-caliber team – should go for it because Brown would change the entire offensive dynamic for a team that often needs a GPS to find the end zone. Sure, Brown would require force-feeding 10 to 15 passes a game his way. And, yes, his production could dip at any time as he enters his thirties. But for a team in need of creating a better and more exciting product at the box office, a player like Brown would, in the short run, at least give the Titans a true playmaker on the offensive side of the ball. Brown, since 2013, has averaged 114 catches and 1,524 yards receiving, numbers never achieved by a Titans receiver. The only Titan in the same Zip code would be Derrick Mason, who had back-to-back 90-catch seasons in 2003 and 2004. Look at the teams that reached the postseason and you find game-changing players, mostly on the offensive side of the ball. From Tom Brady, Rob Gronkowski and Drew Brees to budding superstars like Patrick Mahomes, Tyreek Hill and Todd Gurley, winning teams in today’s NFL feature superstar playmakers. And the four teams in the conference championship games had no shortage of talented stars. Yes, going for it would be a gamble. But the L.A. Rams brought in Brandin Cooks and Ndamukong Suh last offseason and it has helped to propel them into the Super Bowl. The Bears and Cowboys turned themselves from also-rans to playoff teams when they took advantage of Jon Gruden’s fire sale in Oakland with Chicago landing Khalil Mack and Dallas getting Amari Cooper. It also could backfire, as Kirk Cousins didn’t put the Vikings over the top in the first year of his $84 million, three-year deal. But trying to acquire an impact superstar goes much deeper for the Titans than the thought of taking on a talented diva like Brown. Seriously, who was the last true game-changing skill player drafted by the Titans who made a long-term impact on the franchise? Chris Johnson? Albert Haynesworth? Mason? Jevon Kearse? Eddie George? Steve McNair? The Titans have some very good players in their core group. Jurrell Casey, Delanie Walker, Kevin Byard, Taylor Lewan and Derrick Henry are solid pieces many teams would love to have. But are any of them consistently dominant game-changers? The Titans don’t have many glaring weaknesses, which is good. But they also don’t have many true impact players either, which might just be what is holding them back. Just inside the AFC South, the Titans have to contend with stopping J.J. Watt, DeAndre Hopkins and Jadeveon Clowney with the Texans, Andrew Luck and T.Y. Hilton with the Colts, and Jalen Ramsey with the Jaguars. The Titans have had very little luck developing a superstar with longevity from within. And even when they have found a game-changing player like Johnson, Kearse or Haynesworth, their success was relatively short lived. Want proof? The most recent Hall of Fame player drafted by the Titans/Oilers organization was offensive lineman Bruce Matthews in 1983. The last time the franchise happened upon a Hall of Fame player at a skill position was when it plucked Warren Moon out of the CFL a year after drafting Matthews. The NFL has changed since then, and if the Titans want to compete at the highest level, a game-changer – or more than one – must emerge from the current roster, the draft or free agency.